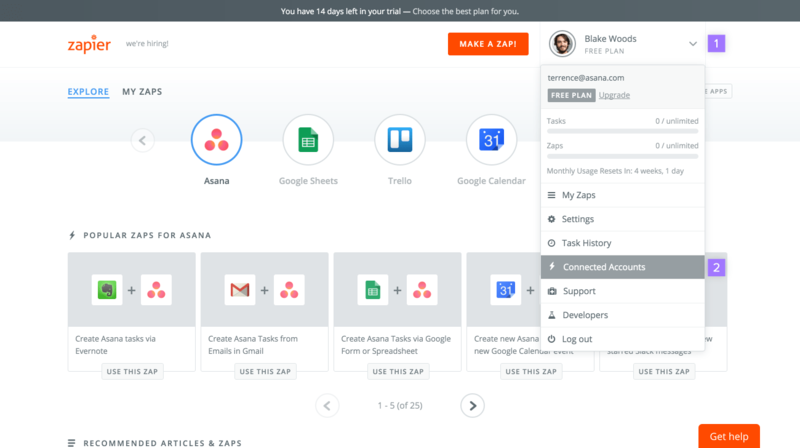 Zapier allows you to connect a variety of web applications to Asana. 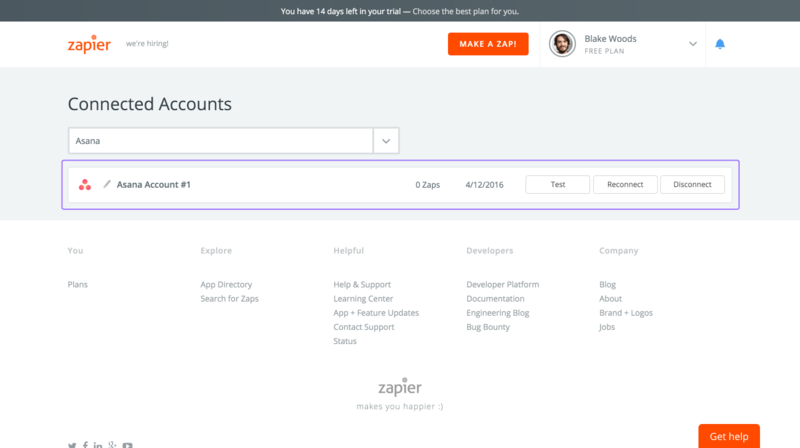 Once logged into your account, your first step is to connect your Asana account with Zapier. 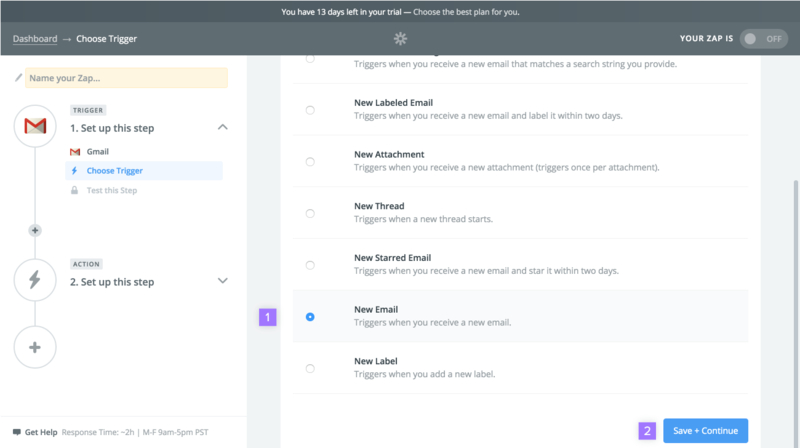 After you select Asana, a new Asana window will popup, click Allow to connect your Asana account with Zapier. 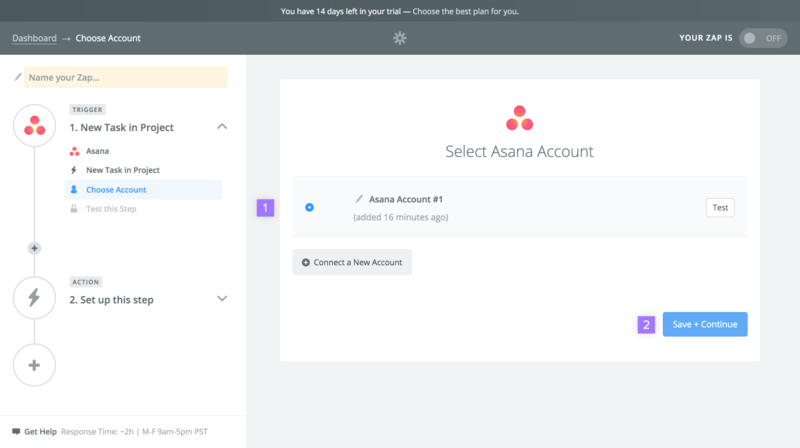 Once you’ve connected your Asana account with Zapier, you should see Asana under Connected Accounts in your Zapier account. 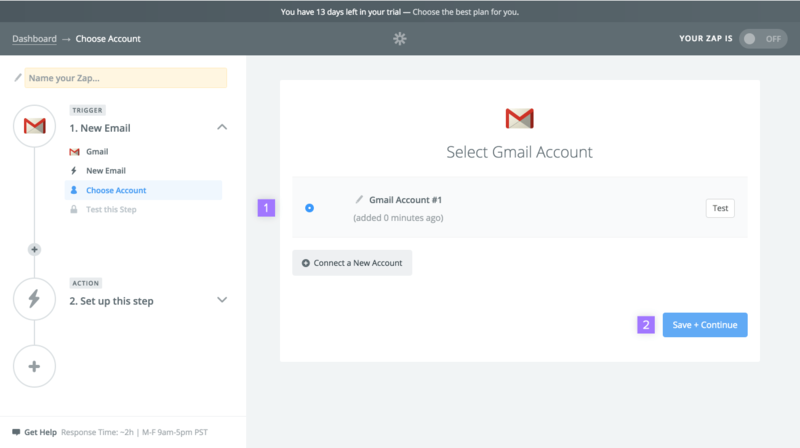 A zap connects two apps together. There are two parts in every zap: a trigger and an action. Once the trigger is activated in one app, the action is performed in the other. 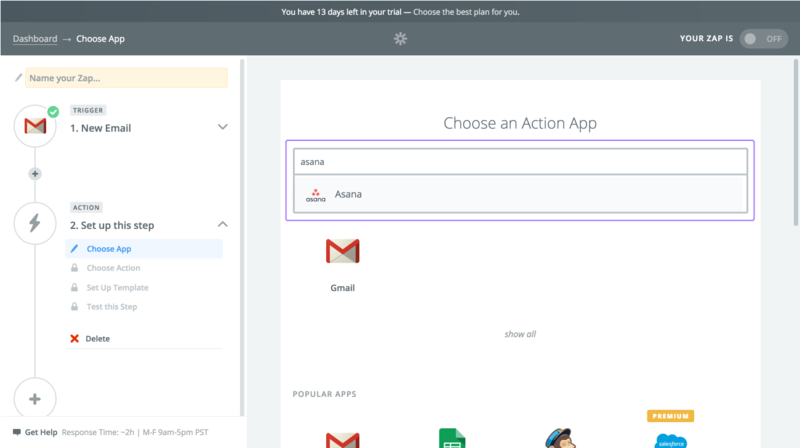 In this type of zap, a trigger that happens in Asana will perform an action in another app. To create a zap, start by clicking Make a Zap! near the top of the screen. 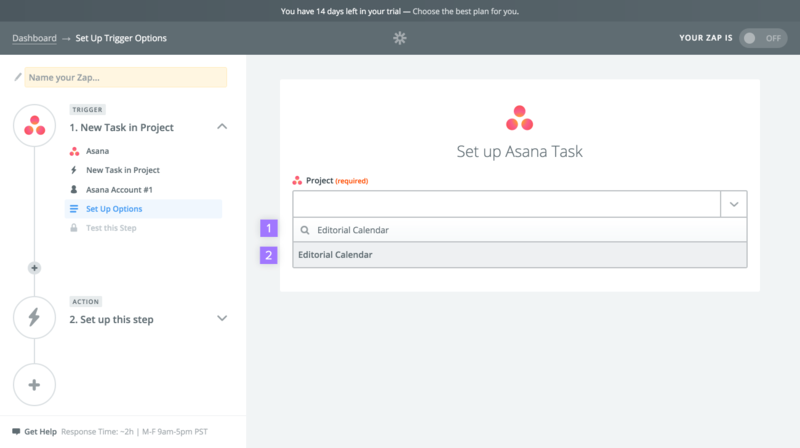 In this example, we will be setting up a zap where if a tasktask Tasks are the basic unit of work in Asana. Tasks can represent any kind of work, break down work into smaller pieces, or store information. Read more is added to a projectproject Projects are lists of tasks. Read more in Asana (the trigger), then something will be performed in another app (the action). 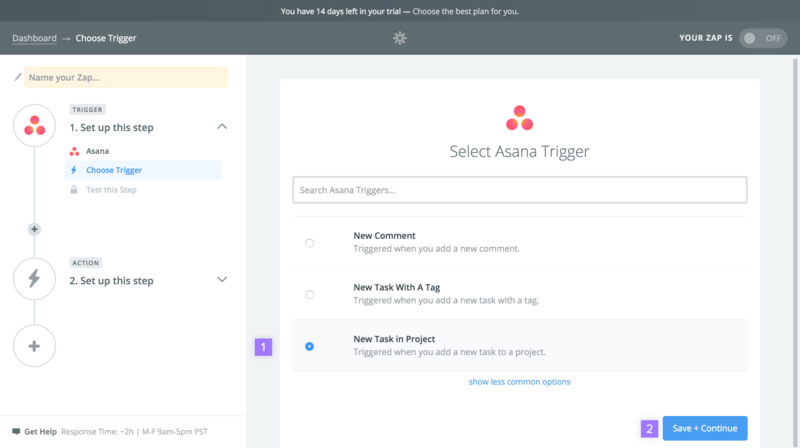 Start by selecting Asana as your trigger app. Next, click Fetch & Continue to test if the trigger is working correctly. 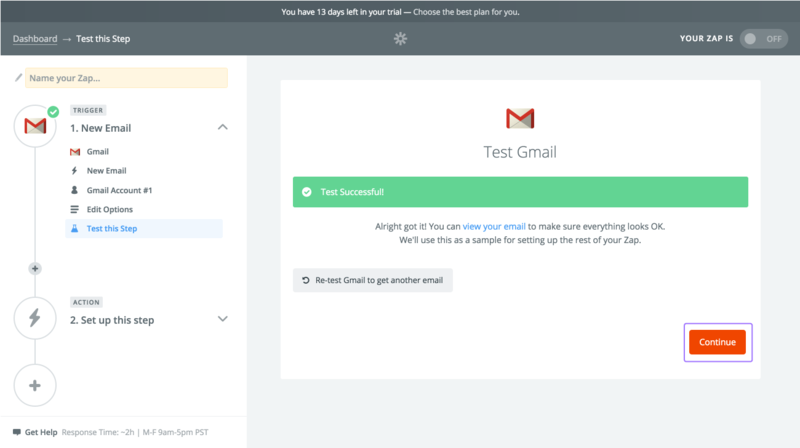 If the test is successful, click Continue to complete the setup of the trigger. Next, you will select an action app for your zap. 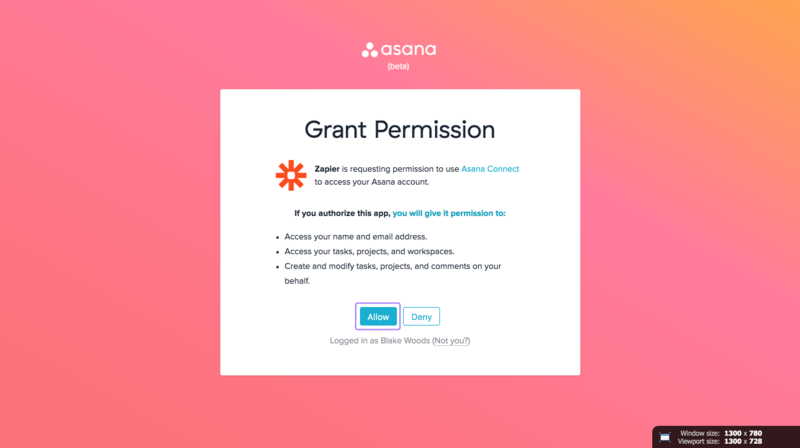 Since there are hundreds of possibilities, we will leave it up to you to set up what kind of zap you want to create with Asana. 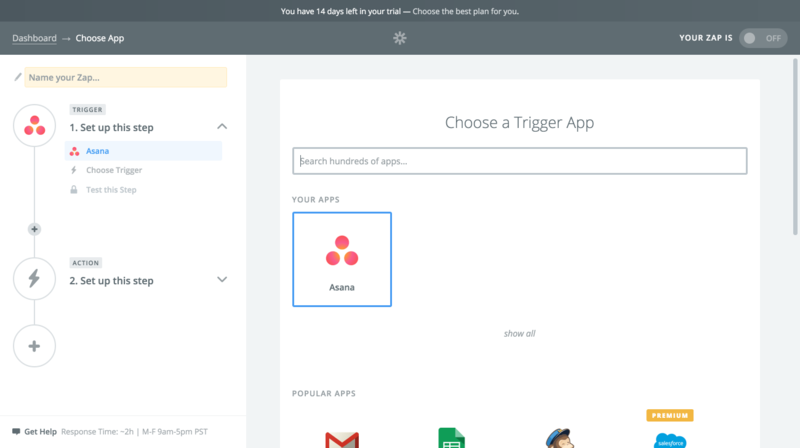 In this type of zap, a trigger that happens in another app will perform an action in Asana. 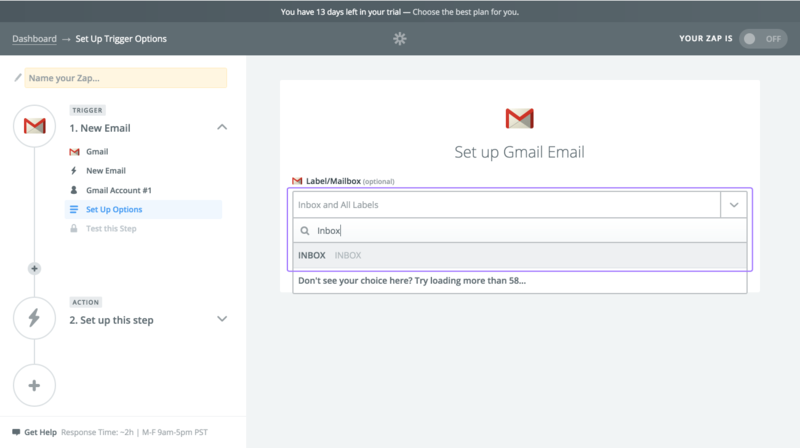 In this example, we will be setting up a zap where if we receive an email in Gmail (the trigger), a task is created in Asana (the action). 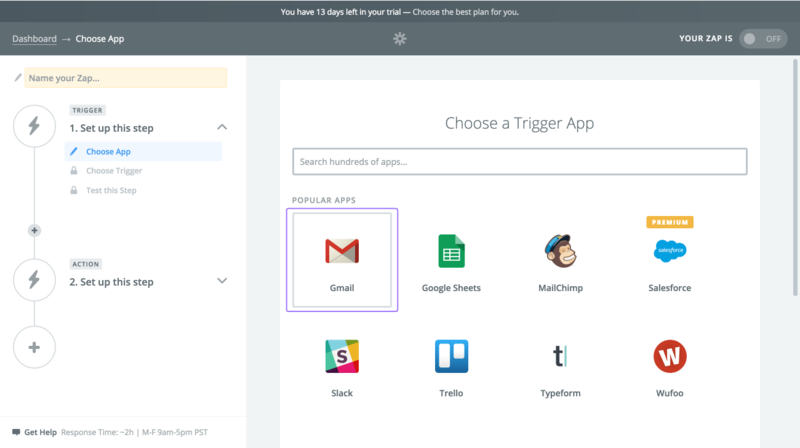 Start by selecting Gmail as your trigger app. 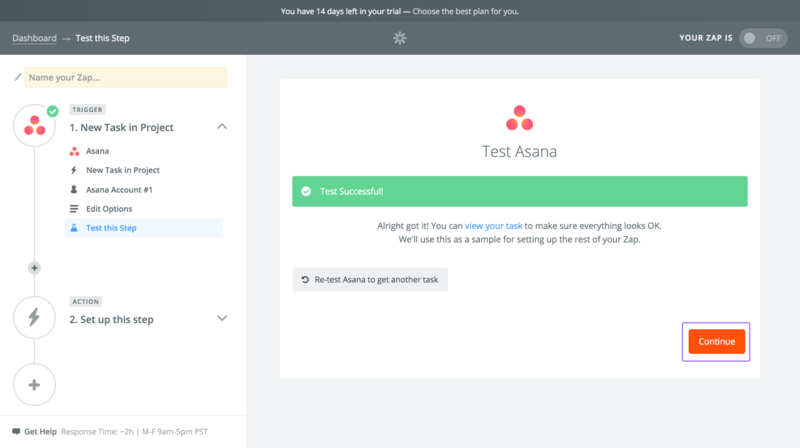 Begin typing Asana in the field and select it in the typeahead results that appear. 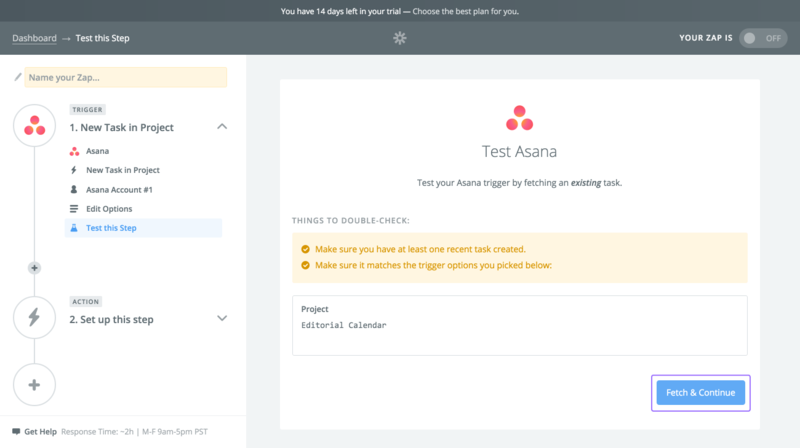 In the following pages, you will set up your action in Asana much like you set up Asana as your trigger app in the previous example. Need more help? 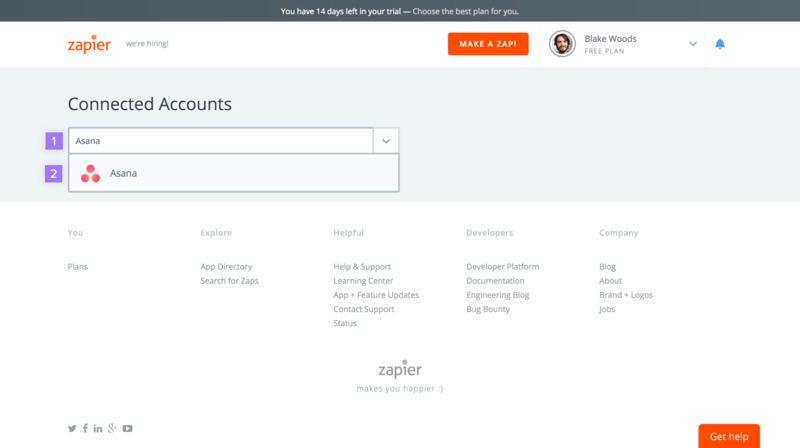 Check out Zapier’s Support page here.